Though no one wants to admit it, the older we get, the more we need to ask for help. When it comes to the special seniors in your life, assisted living may be the perfect balance between maintaining their independence and having help when they need it. Living in Pennsylvania, the options and locations are plenty. Assisted living may be the ideal solution for those seniors who aren’t quite ready to give up their freedom but who may need help with some of the day-to-day aspects of everyday life. Facilities will assess and create a unique plan for each person, making sure they have meals, transportation, and personal care assistance readily available while also providing social activities, entertainment, and a sense of community with new friends. What Will Assisted Living Cost? 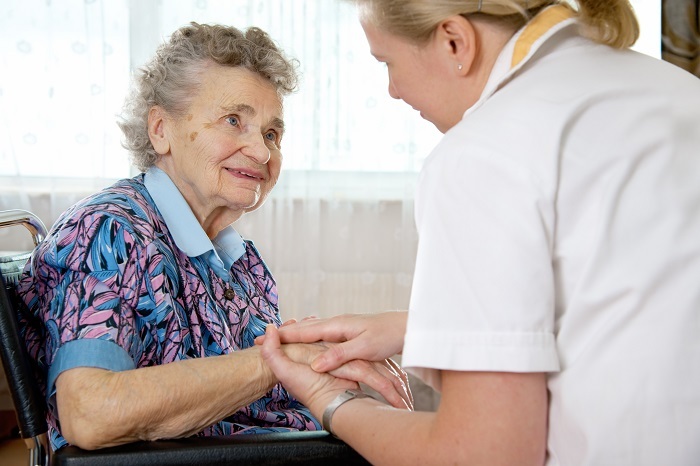 As with everything, the cost of assisted living ranges depending on the type of facility, the level of service, amenities and services provided, and any special needs the resident may have. On average, the base price of a one-bedroom unit will cost about $3,600 per month in Pennsylvania (according to Genworth), which is lower than the national median. Of course, you may expect additional fees depending on the facility and whether any extra services are needed. Make sure if your senior is receiving benefits through Medicaid, that those benefits will continue if they move into an independent assisted living facility. There is no pre-set age that dictates when it’s time to move into an assisted living facility. When the cost of caregiving becomes too much for either the caregiver or the family member, it may be time for that difficult conversation. Of course, there are signs that doctors recommend being on the lookout for – aggression, increasing care needs, caregiver’s stress, and whether they are safe in their own home. Try visiting a few facilities so the senior in your life can find one where they will feel comfortable. Compared to some other parts of the country, seniors living in Pennsylvania have to deal with snowy winters and blistering heat in the summers. Yet, they have the benefit of plenty of activities to look forward to such as county fairs, festivals celebrating the arts, food, and also musical entertainment. Some facilities may even bring these events to their residents. Once you’ve had the conversation with the special senior in your life, it’s time to visit any facilities you’re considering. While there, pay attention to the cleanliness of the facility, how engaged the residents are with the activities, whether they seem to like the meals – visiting during mealtime is helpful – and also how friendly the staff is with visitors and residents. Another important thing to keep in mind is what budget you’re working with, so you know exactly what is included. Ask for a list of all additional charges, so there are no surprises when it’s time for rent.